Sales Tax on Costa Rica Vacation Rentals: It’s now crystal clear who must pay this tax. Adventures in Costa Rica That Every Thrill Seeker Must Experience! Every year, a large number of thrill seekers head to Costa Rica. Although there are many things to experience, four adventures in particular stand out that all adrenaline junkies should try. For people who enjoy more extreme adventures and the great outdoors, Costa Rica is the ideal destination. The U.S. Southern Command based in Panama sent in helicopters that carried a team of 16 medical professionals. Included were doctors, nurses, and even dentists. One of the oldest traditions in the American republic is “government by emergency.” Over the last 2½ centuries, US citizens have endured confiscation, imprisonment, and censorship conducted outside normal constitutional constraints. Affordability is one reason for choosing a Latin America getaway. In addition to laidback communities, hospitable people, and pristine beaches, you can rent nice accommodations for only $500 per month. Cars in Costa Rica. Pay the ‘marchamo’ and stay street legal. Will 2017 Be Your Last Chance To Move To Costa Rica? Based on their staggeringly ABYSMAL track record, are you really willing to let your government – any government – protect you and your loved ones? Or, would it be sensible to have a plan ‘B’? Taste of India506 Artisan Indian Cuisine in Escazu. Delicious, genuine Indian food at a great price. Taste of India506 Artisan Indian Cuisine offers a wide selection of the best Indian cuisine made from the freshest ingredients. Their Take-Away & Express service offers customers the best possible Indian cuisine experience in Costa Rica with great tasting food. 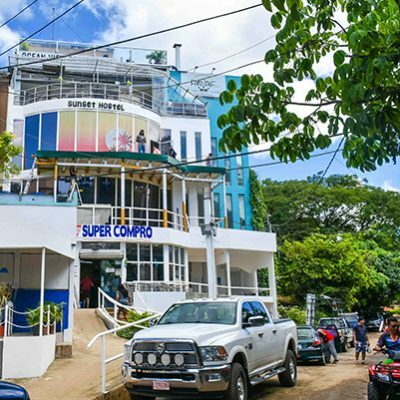 Commercial Building with Seller Financing For Sale in Tamarindo With Rooftop Bar and Great ROI. US$1,750,000. This building will be a gem in your investment portfolio as all rental contracts are currently from three to ten years including a national chain grocery store. Carrying Cash? Be Ready to Lose It. From a legal standpoint, the money you deposit in a bank no longer belongs to you. Instead, the bank owns it. You are merely just another one of their unsecured creditors. Have you finally reached the point where you have no viable alternatives to fix your teeth? You have spent years, and paid thousands of dollars to your US dentist, just to hold things together. Now all the very expensive quick fixes no longer work. What to do?